Doppio was created in 2011 by two brothers with a passion for food as well as an appreciation for the dining experience. After spending many summers in southern Italy sampling the creations of both the finest restaurants and hidden gems of the region, they felt it was their obligation to introduce America to their unforgettable experiences with the same passion and authenticity as they found abroad. From famed gelaterias, pasticcerias, cafes and restaurants in the regions of Calabria and Sicily, the brothers’ best moments have been recreated at Doppio, untouched. The name Doppio stands for “double,” or “two,” representing the concept of complementing artisanal pizza and authentic cuisine with handcrafted gelato to create the perfect pairing. With this dual nature in mind, the brothers created Doppio, where both pleasures are yours to be enjoyed. I’ve only heard great things but have not eaten here yet. Harvest is very good and Meli Melo is one of my favorites on the ave. Surprised they aren’t on here. Really good food. Very reasonable. Great pizzas. 10 out of 10! If I can afford it ill try. Looks really good but I’m on a budget. It is that good. Can we get a deal Best In CT? Lol wouldn’t hurt. Lol. It must be that good if you guys are debating on whether or not Grandma does it better. Too funny. Nah this is waaaay better than Grandmas cooking! Lol at least mine! Very good Italian and I’ve had some of the best. LOL @ Ignacio – No one does it like Grandma! Doppio is amazing though and definitely gives Grandma a run for her money. Some of the best Italian food you can find. Only thing better is my Grandma’s! Very good food! One of my favorites. I second that comment….best pizza around. Top notch Italian. Love it! Really good Italian. 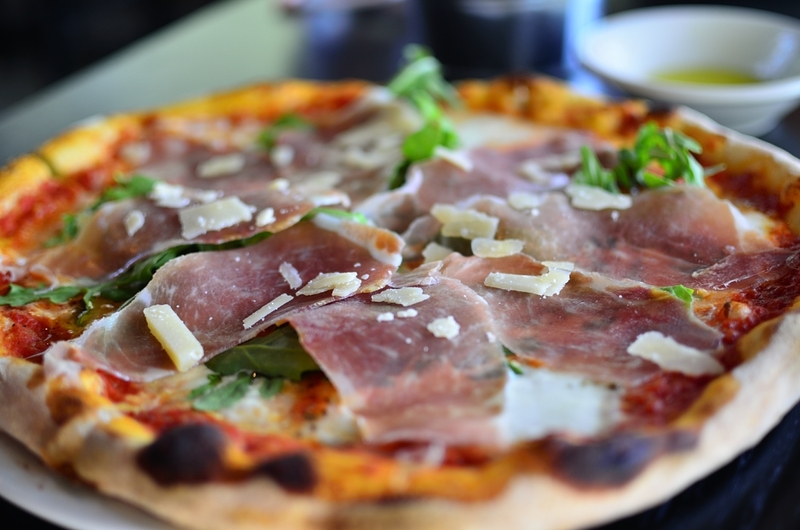 I also love their pizzas – The black truffle with Prosciutto is phenomenal. I’ve only had a pizza that good in Italy. If you know good Italian food, then you should know about Doppio by now. Great food and great service.